including articles, texts, audio-visual media, and online publications. We introduced the Lact-Aid Nursing Trainer System to the breastfeeding products market in 1971, following three years of careful research and development. 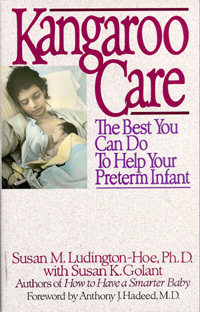 In 1973, Karen Pryor was the first author to cite Lact-Aid System in her book, Nursing Your Baby. Ever since, many authors have described or recommended it in their books, articles and teaching materials directed to parents and fellow health professionals alike. Likewise, Lact-Aid System has caught the attention of journalists in television and radio, as well as developers of films and other audio/video media. More recently, the availability of the world wide web as a tool for accessing information has fostered even more interest. The new electronic media has proveded unprecedented opportunities for open access to information. Online articles and abstracts, and open discussions via newsgroups or bulletin boards, chats, and email lists have generated even more information about Lact-Aid System. Why has Lact-Aid System received such acclaim? The answer is simple...it works. While other nursing supplementers have appeared from time to time, not one has been able to match the proved performance of the original. It's one thing for us to say we have an excellent, effective product, but it's something more, when others say so. The massive amount of unsolicited, free publicity it has received validates the fact that our product and the Lact-Aid name has a well earned reputation for excellence. This Bibliography is adapted from several data sources. From our marketing data created to track how customers hear about Lact-Aid System, we learned about books, articles, and other resources. From our records of requests by authors for permission to use Lact-Aid photos we learned of new articles and texts. Some authors cited Lact-Aid System but used their own photos or illustrations, so did not submit requests. We learned about their publications from Lact-Aid customers, or simply found them in a book store! We found that many of the authors describe it in some detail and indicate the many kinds of breastfeeding situations in which its use has proved helpful. Most also index it by our Lact-Aid®brand name. Many include it in a separate resource list or appendix with a contact address for information. Most include photos or illustrations, which may be our copyrighted Lact-Aid photos or drawings, or photos made by authors or parents, or illustrations by artists. For each reference listed below, details about indexing, photos, illustrations is provided. Some references in this Bibliography are available online as abstracts, or as complete articles. For some, it may be possible to link to a resource where the title can be ordered, such as PUBMED and Grateful Med, services of the National Library of Medicine, NLM. We are in the process of reviewing all the titles we have currently listed, in order to provide you with links to such resources. See the Key to Symbols, below. Please let us know about references and links that should be included. We are interested in any which cite Lact-Aid System, and nursing supplementers, as well as general maternal/child health references for our Topical Bibliography Section. These are texts and other educational or reference media, directed to physicians, nurses, nutritionists, childbirth educators, lactation consultants and other allied health practitioners. Hundreds of references to Lact-Aid System have been published in medical journal articles, professional newsletters, lectures, and audio/visual teaching materials since 1971. There are many not yet listed here. Please let us know about any references you find, which should be added. Even if the references refers to nursing supplementers in general, and not specifically by the name "Lact-Aid", we would like to know about it. Texts - Books directed to professionals Listed by Titles. Breastfeeding I: Counseling.Childbirth Ed. League of Monterey Peninsula, Inc., Carmel, CA, CELMP, 1978. Breast-feeding in Practice.A Manual for Health Workers. Elisabet Helsing and F. Savage King. Oxford, New York, Toronto, Oxford University Press, 1982. Counseling the Mother on Breast-feeding.Ruth A Lawrence, MD, Chairperson/Editor. Report of the Eleventh ROSS ROUNDTABLE on Critical Approaches to Common Pediatric Problems, in Collaboration with the Ambulatory Pediatric Association. Columbus, Ross Laboratories, Div. of Abbot Laboratories, USA, 1980. Current Therapy in Obstetrics.David Charles, MD., Editor. In "Lactation", Chapter. Douglas Glover, MD. Philadelphia, B.D. Decker, C.V. Mosby Company, 1988. Human Milk. Its Biological and Social Value. Selected papers from the International Symposium on Breastfeeding, Tel-Aviv, February 24-28, 1980. S. Freier and A. I. Eidelman, Editors. Amsterdam, Excerpta Medica, 1980. (Cited in several papers, LA photo). Year Book of Pediatrics. Frank Oski, Editor. In "Lactational Reflex Recovery in Breastfeeding Failure", Carol Weichert, Ph.D.. Chicago, Year Book Medical Publishers, 1981. Articles, lectures, chapters, and other media, Directed to professionals. Avery, JL: Relactation and induced lactation, Chapter 13, in Riordan J: A Practical Guide to Breastfeeding. St. Louis, 1984, CV Mosby Co.
Avery, JL: Unpublished Data from Lact-Aid International, Inc. client files, 1969 to 1998. ....and more! Let us know about titles you find! These are directories and indexes used by hospitals, clinics, pharmacies & health professionals to locate products they wish to purchase for distribution to their patients or clients. ....and more! Let us know about indexes you discover! Books and articles in consumer oriented magazines, news, or other media, directed to adopting, expectant and new parents, which cite, describe, or illustrate Lact-Aid Nursing Trainer System. Breastfeeding the Adopted Baby. Deborah S. Peterson. San Antonio, Texas, Corona Publishing Co., 1994. Creative Parenting.William Sears, Md. New York, Everest House, 1982. How to Stay Out of the Gynecologist’s Office.Carol Downer, et al. Culver City, CA, Peace Press, 1981. Kangaroo Care. The best you can do to help your preterm infant. Susan M. Ludigton-Hoe and Susan K Golant. New York, Bantam Books, 1993. Mothers Today Sourcebook. Janet Spencer King, Editor. New York, Boyd and McGinnity, Subsidiary of Mothers' Manual, Inc., 1985. Vol. 2, Number 1. No Nonsense Nutrition for Your Baby’s First Year.Heslin, Natow and Raven. CBI, 1979. Bantam Edition, 1980. Nutrition Information Service Directory. Nutrition Information Service. Toronto, Ontario, Canada. Ryerson Polytechnical Institute., 1981. Pregnancy, Childbirth and the Newborn. A complete guide for expectant parents.Penny Simkin, RPT, Janet Whalley, RN, BSN, and Ann Keppler, RN, MN, of CEA of Seattle. New York, Meadowbrook Press, 1979, 1984. 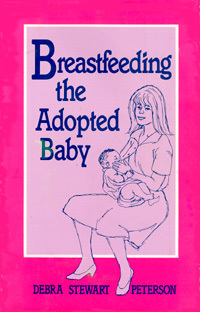 The Adoption Resource Book.Lois Gilman. New York, Harper and Row, 1984. The Complete Book of Breastfeeding. Marvin Eiger, MD, and Sally Wendkos Olds. Breastfeeding, Children’s Nutrition and Allergies". . Dr. Lendon Smith. PHIL DONAHUE SHOW. (several presentations) 1979 1982. Breastfeeding. Sylvia Morgan. TODAY'S WOMAN. KWGN TV, Denver., Jan 1977. Ingenious Breastfeeding Aid. Dr. Bob Arnot. CBS MORNING NEWS. The Premature Infant. Continuing Education. Film. University of Colorado School of Medicine. and more....tell us about any you have discovered! To Submit References: There are many references we do not yet have listed. Let us know about any references you discover! Tell us about articles, books, audio/video media, lectures, workshop presentations, TV, radio, text, chats, www links and other cyber media. Please provide as much information as possible, along with an email or mail address, phone, or fax number where we can reach you if we have a question. You can contact us by phone, fax, mail, or email. Topical Bibliography - [ ...JLA] = JL Avery Editorial Note. These are general maternal/child health and parenting references organized by topics. These references do not necessarily mention Lact-Aid System, but pertain to information presented in our publications or our website, or in response to FAQs submitted on adoption, fertility, breastfeeding, milk composition, family planning, breast development, prematurity, suckling physiology, and other subjects that have some relationship to breastfeeding. Where available, selected references may also include an abstract, or an editorial note by JL Avery contained in brackets, i.e., [ Editorial note ital....JLA] . We welcome your comments, suggestions, corrections, additions. Harris L; Morris SF; Freiberg A: Plast Reconstr Surg, 89: 5, , 836-9 May, 1992. Abstract: The authors studied breast feeding in women who had inferiorly based pedicle reduction mammaplasty. Seventy-three patients were contacted and sent a standardized questionnaire. Twenty patients of the 68 who responded had become pregnant after reduction mammaplasty. All 20 women lactated. Seven of these women (35 percent) went on to a breast-feed successfully. Thirteen (65 percent) decided not to breast-feed or discontinued breast feeding for personal reasons. Hurst NM: Obstet Gynecol, 87: 1, 1996 Jan, 30-4. Widdice, L.: The effects of Breast Reduction and Breast Augmentation Surgery on Lactation: An Annotated Bibliography. J Human Lactation, 9(3,) 161-167, 1993. Auerbach, K and Avery, JL. Induced lactation: a study of adoptive nursing by 240 women, Am J Dis Child, 1981, 135:240-243. Jelliffe, DB. and Jelliffe, EFP. Non-Puerperal Induced Lactation, Pediatrics, 1972, 50:170-171. Kleinman, R. et al. Protein Values of Milk Samples from Mothers without Biological Pregnancies. Journal of Pediatrics, 1980, 97:612-615. Sutherland,A. and Auerbach,K. Relactation and Induced Lactation, Lactation Consultant Series (Unit 1), 1985, La Leche League International. Thullen, JD: Management of hypernatremic dehydation due to insufficient lactation. Clin Pediat, 27(8):370-372, 1988. [This is a case report of successful relactation using a nursing supplementer. Infant = critical malnutrition and dehydration . Mother = insufficient lactation and high sodium content of breast milk JLA.]. Willis, C. & Livingstone, V. (1995). Insufficient Milk Syndrome Associated with Maternal Postpartum Hemorrhage. Journal of Human Lactation, 11(2), 123-126. Author: This Bibliography has been compiled by Jimmie Lynne Avery from ongoing reviews of literature from 1968 to 1998. Topics investigated include adoption, anthropology, birth, breast cancer, breast development, breastfeeding, child development, family planning, fertility, history, lactation, maternal health, neonatology, nutrition, parenting, pediatrics, pregnancy, psychology, sociology and allied topics. Copyright, 1998, 1999, 2000 by Jimmie Lynne Avery. All rights reserved. This publication may not be modified nor altered in any way, nor reproduced in whole, nor any part, by any means, photographic, electronic or otherwise, without the express permission of the author. Permission is given to print out individual copies for personal use, or for FREE distribution for educational purposes only, so long as no content is altered, added, or omitted. Disclaimer: The information presented here is for educational purposes only, and is not intended to provide or substitute for medical advice in any way. Anyone with questions about health matters should discuss it with their physician.